This entry was posted in Uncategorized and tagged Blogging, Versatile Blogger Award by Who Said That?. Bookmark the permalink. Thanks for the Nomination, Tilting Up! 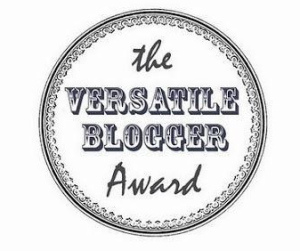 Pingback: The Versatile Blogger Award! | Finish That Novel! You’re so funny! I don’t do the awards these days because I’m too actively engaged in being crazy! I’ll keep watching what you write and see if there’s a spot where a tie in can happen. My advice to build your traffic is to be sure and tag, tag, tag! No one can really find your well crafted thoughts and wondrous words if there’s no tag trail to lead them there! You have great things to say…obviously…just look at your blog’s title…fabulous!! !